This studio condo in Stillwater is nicely appointed in the mountain village with living area and kitchen. From your condo, 5 minute walk to te ski lifts, shopping, restaurants, hiking trails, mountain bike trails, lake, and a spa; or ride the skyline bus to the Big Sky Golf course, Big Sky Town Center events, movie theaters, restaurants, and shopping. 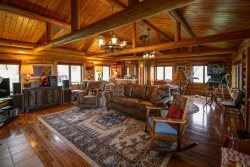 - Outstanding location - Across the street from Big Sky Resort, 6.3 miles from Big Sky Town Center, 57 miles to West Yellowstone Entrance. - Electric Range,Coffee Maker,Toaster, Blender, Roasting Pan, Bakeware, 4 Place Settings, Basic Spices, Starter Starbucks Coffee, Trash Bags, Dish Soap, Dishwasher Soap, Sponge, and Paper Towels.